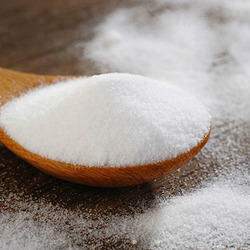 Sodium bicarbonate commonly known as baking soda, is a chemical compound with the formula NaHCO3. It is a salt composed of sodium ions and bicarbonate ions. Sodium bicarbonate is a white solid that is crystalline but often appears as a fine powder. It has a slightly salty, alkaline taste resembling that of washing soda. Pure Sodium Bicarbonate Powder is from 100% natural sources and is a chemical & aluminum-free food grade powder. Sodium Bicarbonate has many benefits to the human body. It promotes healthy digestive system and is a natural antacid. This product is suitable for food use. Most commonly used as a leavening agent in food applications.